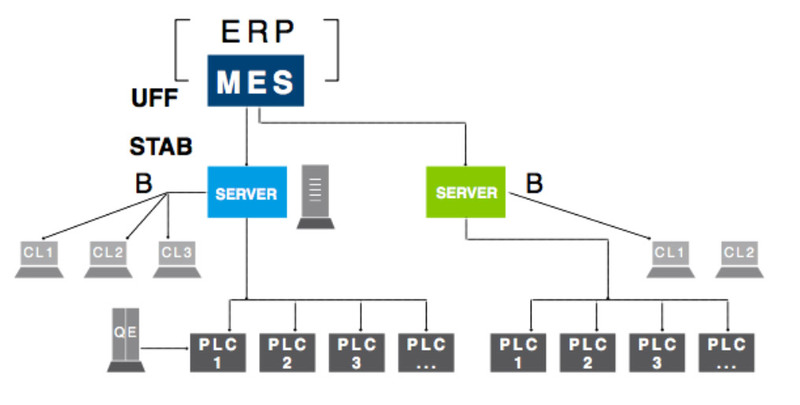 An interface system called MES is placed among the business process management system based on the ERP software and the production management based on the SCADA – PLC software. This System is a fundamental tool for making decisions process because it allows to decode and summarize information coming from the production area with the ones coming from the administrative area. TREESSE Progetti chooses the most suitable hardware and software product in order to customize the final service to company's needs. The team dealing with this type of information is made up of SCADA and automation experts, system and process analysts and computer network and data designers.